Barry Murphy (Brendan Clarke, HT); Ger O’Brien, Pat Flynn (Kenny Browne, 45), Aidan Price, Ian Bermingham; Jake Kelly (Anto Flood, 65), James Chambers, Greg Bolger, Jake Carroll, Chris Forrester; Stephen O’Flynn. Gabirel Sava; Conor McMahon, Derek Prendergast, Alan McNally Philip Hand; Alan Byrne, Cathal Brady (Peter Hynes, 53), Ryan Brennan, Paul Crowley, Gavin Brennan (Jason Marks, 70); Declan O’Brien. 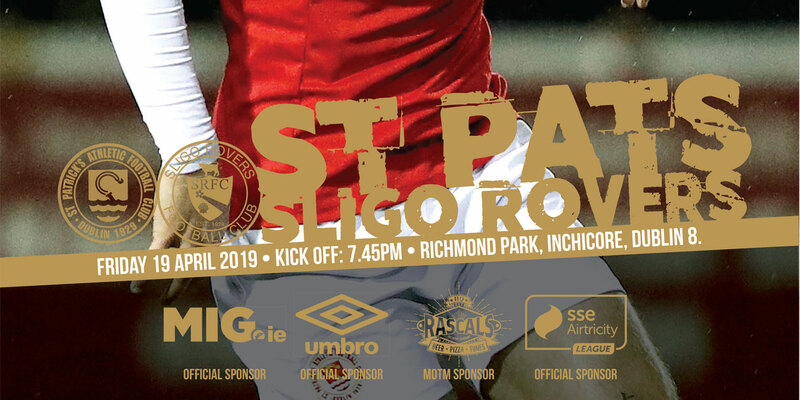 Ten men Drogheda United leapfrogged St Patrick's Athletic with a 2-0 win to go second in the Airtricity Premier Division. Goals from Gavin Brennan and Peter Hynes condemned the hosts after their midweek European heroics. The visitors went in front after 10 minutes when Gavin Brennan blocked down goalkeeper Barry Murphy's attempted clearance, before clipping home. Ryan Brennan saw red early in the second-half but Pat's failed to find the net. 15 minutes from time substitute Peter Hynes wrapped it up with a sliding finish. 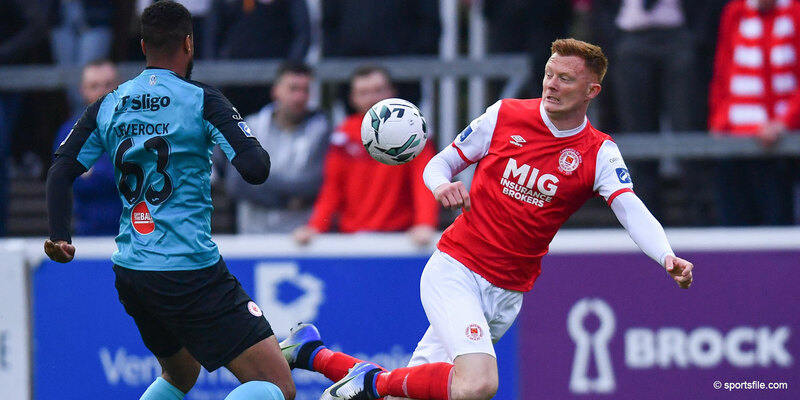 The hosts started the brighter of the two with Chris Forrester, operating on the right wing, twice whipping the ball into the Drogheda box with real menace, however, neither produced clear cut chances. Somewhat fortuitously, Drogheda took the lead after a howler from Pat's goalkeeper Barry Murphy. Under pressure, his attempted clearance was blocked by Gavin Brennan. The goalkeeper got a touch, but couldn't keep the winger's shot out. The first half continued at the frenetic pace it started. The visitors could have doubled their advantage on 17 minutes when Alan Byrne, completely unmarked, headed off the Pat's upright. However, after plenty of possession and endeavour, Pat's first real chance didn't arrive until the 33rd minute when Stephen O'Flynn, their most potent attacking threat, hammered a 30-yard effort off the crossbar. United have proven to be stubborn opposition all year and their ability to counter-attack has served them well. They had two glorious chances just before half time when they broke rapidly. First Declan O'Brien's headed effort was saved by Murphy before the keeper atoned for his early mistake by denying Cathal Brady one-on-one in injury time. Drogheda were reduced to ten men two minutes after the restart when Ryan Brennan saw red for a two-footed tackle. Pat's dominated territory and possession hereafter but failed to really test Gabriel Sava in the Drogheda goal. 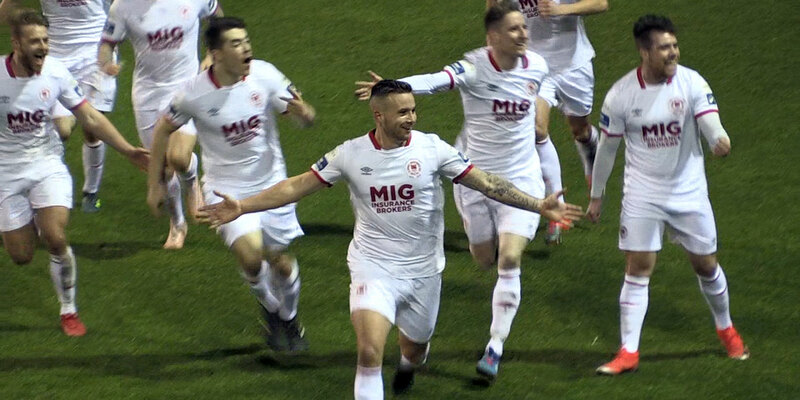 Ian Bermingham saw his headed effort go agonisingly close, but ultimately, there was very little in the way of clear-cut chances. And Drogheda made the Saints pay for their wastefulness with their second goal 15 minutes from time. Again question marks over the goalkeeping but this time it was Brendan Clarke, a half-time substitute for the injured Murphy, who should have done better. Drogheda replacement Peter Hynes slid in to poke past Clarke, the keeper got a touch, but failed to keep out the low, bobbling effort as Mick Cooke's side move second and within six points of leaders Sligo Rovers.